Black-crowned Night-herons (Nycticorax nycticorax), like many herons, are very fun to observe. They are large and easy to see, roost in colonies, and can be observed at water's edge foraging for fish, frogs, and insects. 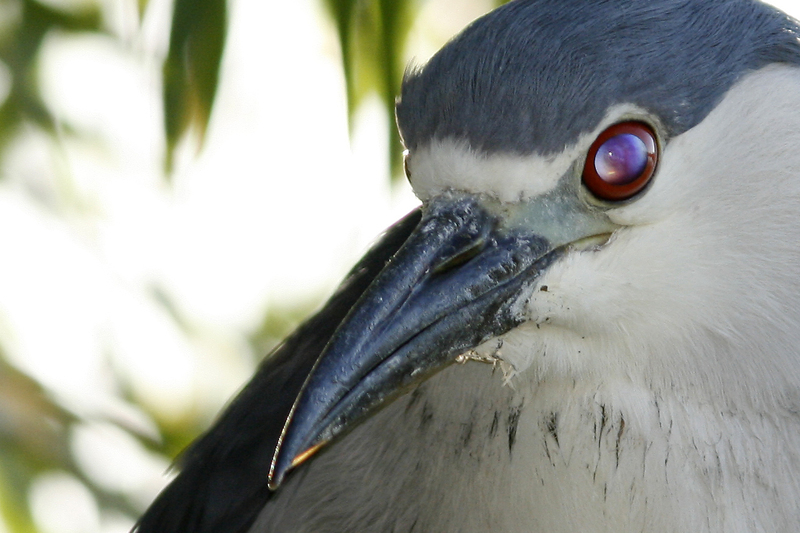 Night-herons are so-named because they often forage at night, though they are sometimes active at dawn and dusk. 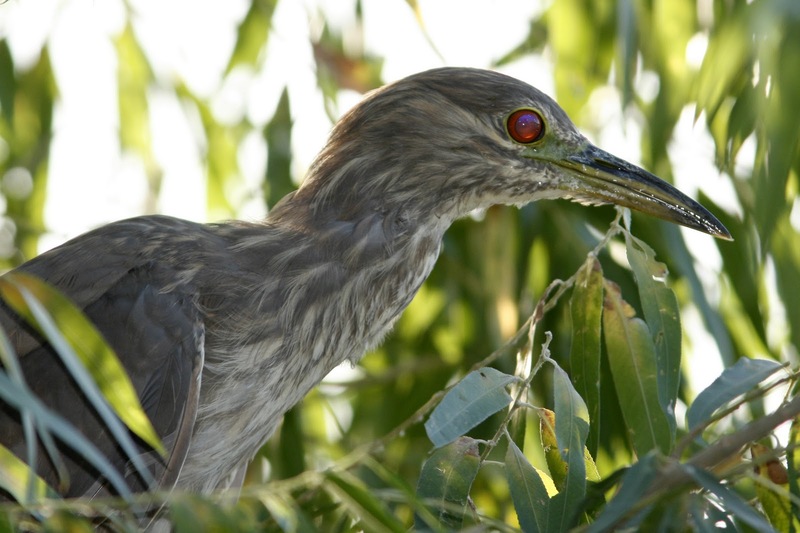 In the Phoenix area, the best spot to find Black-crowned Night-herons is the Gilbert WAter Ranch and Riparian Preserve, where 10-15 or more form a colony. 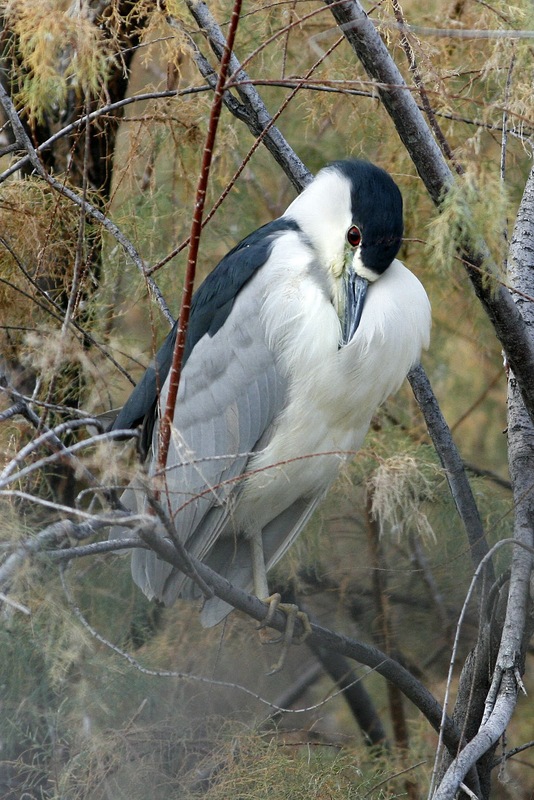 Black-crowned Night-herons are generally easy to distinguish from other Herons. First, the males coloration is quite unique. They are also generally stockier than other herons. 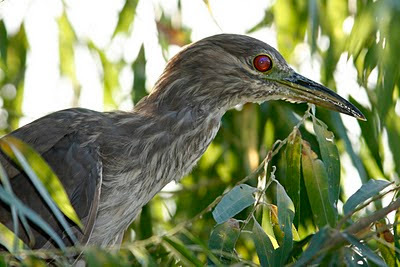 In some locations their range overlaps with the Yellow-crowned Night-heron, and in those locations the juveniles can be difficult to distinguish, with bill color being the best field mark. Ironically, the Black-crowned juveniles have yellowish bills, and the Yellow-crowned juveniles have dark blackish/gray bills. Yellow-crowned juveniles are also a bit darker, but that can be hard to judge without having them side-by-side for comparison. From a photographic perspective, these herons are great subjects, however their red eyes often look 'empty' with no sign of the pupils. Probably some sort of red-eye effect like in humans, but since their eyes are already red, the pupils just wash out with the rest of the eye. Hawaiian Beet Webworm Moth...In Arizona! Watch Your Back - Assassin Bugs Are Everywhere!